Trish will be interviewed on Robert Elms (BBC Radio London), Wednesday 13th 1:30pm! 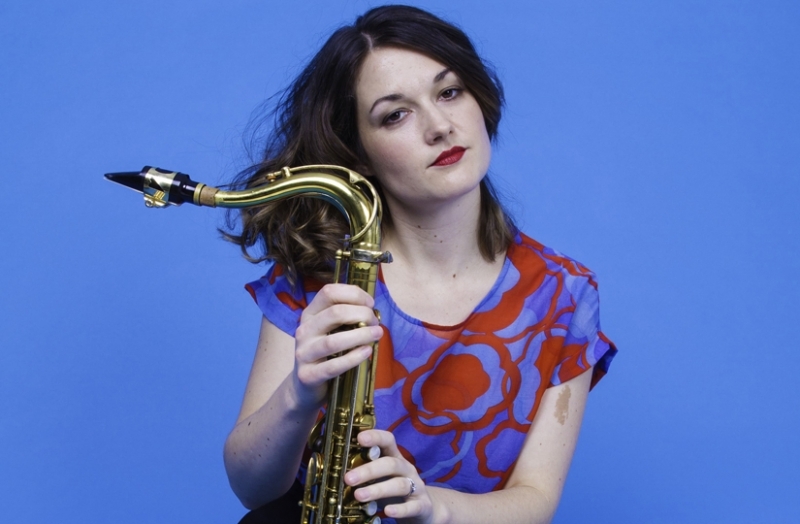 Described as “one of the most agile and original jugglers of improv and adventurous composition to have appeared in the UK in recent times” multi-award winning saxophonist and composer Trish Clowes has made quite an impact on the UK jazz scene. In 2008 she won the Peter Whittingham Development Award that allowed her to form her first ensemble, Tangent, followed by her eponymously named CD debut on Basho Records. A BBC Radio 3 New Generation Artist, her second album on Basho was released in 2012, at the same time her ‘Iris Nonet’ was short-listed for the 2013 BASCA British Composer Awards. Her third album, ‘Pocket Compass’, was launched at the EFG London Jazz Festival 2014 alongside the premiere of her first BBC commission “The Fox the Parakeet & The Chestnut” (for which she won the BASCA Award in 2015). Going from strength to strength, her latest album, ‘My Iris’ has been described as “masterful musical wizardry” (All About Jazz). As recently we have been running a series of concerts we call “Two in to One” - where we invite two established musicians from different generations to perform together for the first time here at the Club - I approached Trish to see if she would like to be part of this initiative. She greeted the idea with such enthusiasm that she asked not one but two(!) musicians that she has been keen to work with, but up until now has not managed to. The brilliant pianist Jim Watson, who includes “Incognito”, Lalo Schifrin, Patti Austin, Katie Melua (with whom he toured for 5 years) and most recently Manu Katché on an extensive cv and who is rightly considered to be one of the most talented jazz pianists in the country, and the highly respected drummer Winston Clifford, who's cv garnered over 30 years of performing at the highest level includes work with internationally respected artists such as Courtney Pine, Joe Lovano, Carmen Lundy, Archie Shepp, Benny Golson, Ronnie Laws, Freddie Hubbard, Monty Alexander and Ronnie Scott. And joining them to make up the quartet will be the upcoming young bass player Joe Lee. The music will be a mix of classic jazz standards with some beautifully crafted originals thrown in, performed by a World class quartet who all have a mutual respect and admiration for each other's playing. This promises to be an exciting and unique night of music making. Highly recommended.